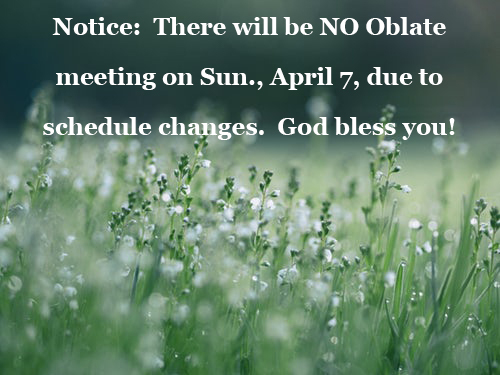 The regularly scheduled oblate meeting for Sun., April 7, has been cancelled due to weather/schedule changes. Our May oblate meeting will be held Sunday, May 5, and is the last meeting for the summer. As we have done in the past, oblates are invited to gather for a year-end potluck and wrap-up for a wonderful year.